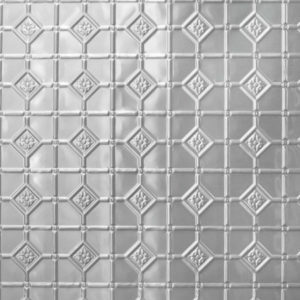 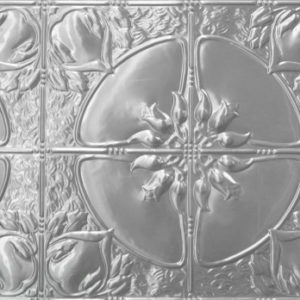 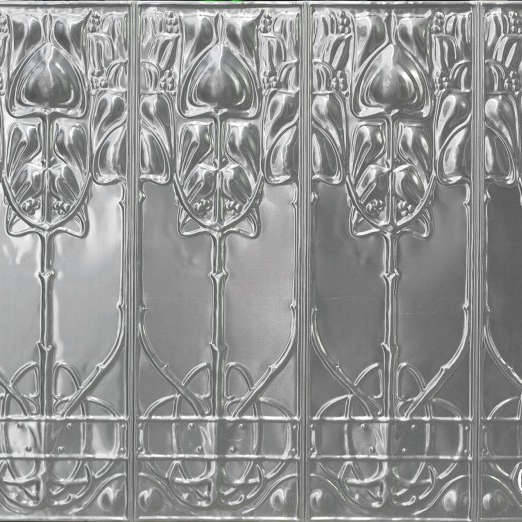 The Art Nouveau design is a traditional dado wall panel that has become popular in recent years in bathrooms & hallaways. 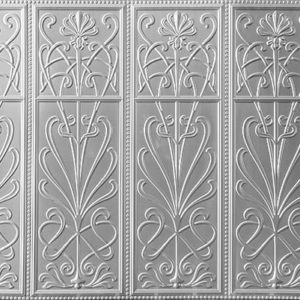 The Art Nouveau design is suitable for a wide range of wall or ceiling installations and can be painted or powder coated. 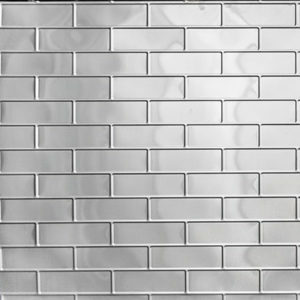 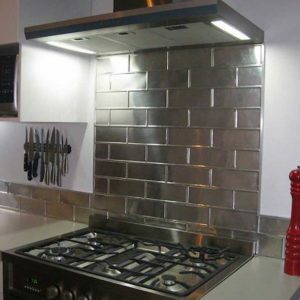 Suggested usage includes: feature walls, bathroom tile alternatives, ceilings, counter fronts and many more. 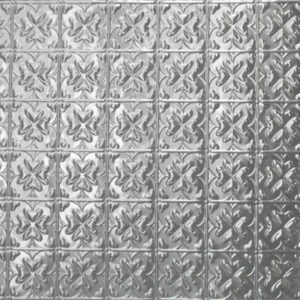 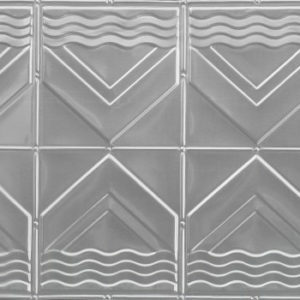 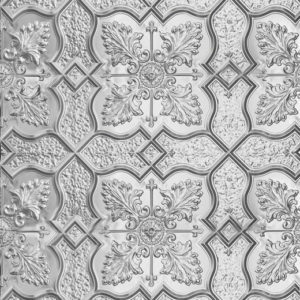 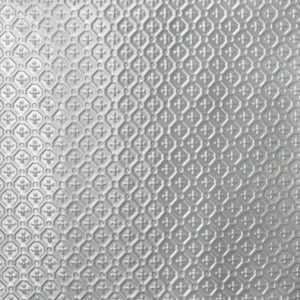 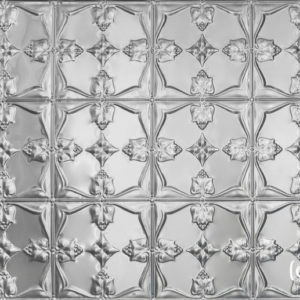 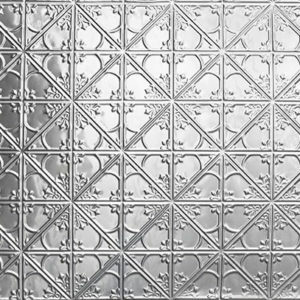 All metal panels made by Pressed Tin Panels™ are acid etched, ready for painting or powdercoating, once they have been cut to size with an angle grinder and can then be glued into place, (nails and rivets can also be used).